The first, brought to Afro Leo's attention by proclaimed special agent Kingsley Egbuonu, is a post in the Guardian entitled 'The WTO has failed developing nations' citing 10 examples. Notably, at least two examples involve IPR policies and protection. The post is written by trade policy advisor Aurelie Walker. Incidentally, despite the title of the article, African governments have themselves been dilatory (useless in some cases) in implementing threshold requirements for proper IPR protection thereby contributing to the failures. The second is a thought provoking post on the excellent IPKat weblog by Nicola Searle dealing with the economics of trade marks in which it considers the elusive link between trade marks and innovation. Readers interested in the subject should also consider Adam Smith's article in WTR entitled 'Locating the missing link between Trademarks and Innovation'? The two articles re-affirm Afro Leo's view that IPRs are fundamental to the economic progress of developing countries (whether they are imposed or not). 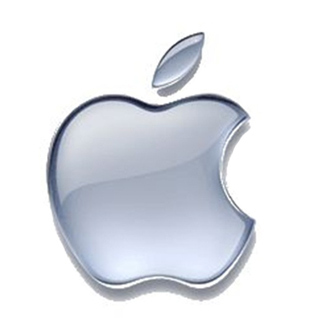 As for the link between trade marks and innovation and whether trade marks really are intellectual property, an apple immediately comes to mind; it symbolizes innovation and by doing so incentives it. Employees who wish to be associated with innovation or find a culture of innovation are attracted to the company. Executives who wish to maintain the culture of innovation (and market share) are forced to innovate. The brand is protected by the trade mark thereby creating the link between the trade mark and innovation. Innovation is of course crucial to developing economies as well as those developed countries trying to get out of a recession reaffirming, to this Afro Leo at least, that IPRs are fundamental to both developing and developed countries. Rather than criticise IP for the woes of developing countries (scatter-gun approach), these not for profit must engage with IP firms and organisations to assist developing countries adapt IP laws to their development needs. No one told anybody to copy word-for-word TRIPS or the IP laws in developed countries. Currently, none of these are happening and especially nearly all the African governments have this annoying lazy attitude on IP. Keep up the good work Afro Leo. Whether IP is good or bad, no one can deny that it exists and is the backbone of developed economies. That's why I've been working to get developing countries (Kenya, specifically) to use western IP systems. A big problem is always the cost of acquiring IP rights, but this can be alleviated somewhat with pro bono work (which I have done, and it works). Anonymous is right to say that IP law should be adapted to developing countries. Merely copying US or European laws into developing countries law would give (or gives) an unjustified advantage to large, in particular western, companies. The 'unjustified advantage' is because on one hand, many patents lack inventive step and merely describe normal technical advances. These patents thus only protect the first company to implement a technical advance. I don't see any good reason to give such an advantage to such a company. Moreover, large companies take particularly profit of the patent system to create 'patent thickets' which are nothing else than a barrier to normal, free competition. In addition, it is legitimate that IP laws forbids free use of an invention. Now, is it legitimate that it make launching a new product such a risky business? Checking freedom of exploitation of a product may cost (in Europe) 10 000 to 100 000 Euros or more. Is this an incentive to launch a new product, to start a new business? No, this is only an unseen obstacle to development. In developing as in developed countries, IP laws should be corrected by increasing inventive step requirement, so as not to discourage entrepreneurs, and not to give an undue advantage to large companies.